A Google Doc that tracks the progress of EIR legislation can be found here. 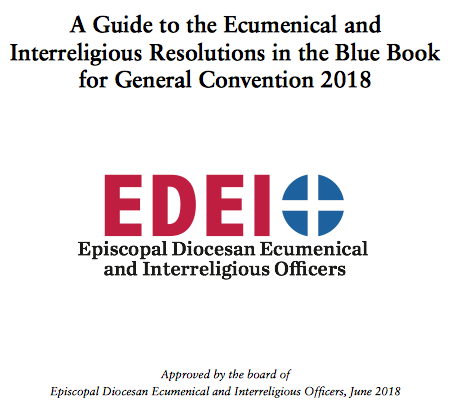 The board of EDEIO has created the attached document with explanation of the ecumenical and interreligious resolutions as they stand at the time of the publication of the Blue Book. We hope that it can be of help as you consider your voting at convention.